Book your court in over 600 clubs in Spain! Top searched sport clubs in Madrid. Book now! Top searched sport clubs in Barcelona. Book now! Book your court with the same price as in the club, with no additional costs and 100% secure. Also, maintain your benefits and special prices as club member. Filter by type of court, the time you want to play and pay in a 100% secure way with no additional cost. Just bring your friends, sports equipment and you are ready to play. Give your best and enjoy the match! Whether you play padel, tennis or football, have fun and enjoy playing sports! It's been my best discovery. It's quick and the payment is safe. I love finding available courts in my area! An app to find and instantly book available football pitches nearby at any time. A must for football teams and players. Highly recommended! Choose your favourite sports club or let Playtomic suggest one nearby. You can filter the results by date, time and type of court or football pitch. Book your padel or tennis court and football pitch in just 3 steps. There are more than 600 sports clubs to choose from in Spain. It's quick and easy! Playtomic is the biggest platform to book tennis and padel courts and football pitch in Spain. Our sports philosophy led us to understand the need of all frequent players to easily book a venue online, either through our website or our app. Therefore, we challenge the conventional way courts are booked so that thousands of players have the possibility to practice their favourite sport in a more comfortable, quick way. If you are trying to improve your technique in padel, tennis or football, or if you just love sports, this is your place. We take care of arranging that your court is booked so that you do not have to worry about anything. Whether you are a beginner or a very experienced player, thanks to Playtomic you will be able to book your padel court in ideal conditions. We collaborate with the Federacion Madrileña de Padel, one of our official partners, in multiple tournaments, and we also participate in different padel events across Spain. On the other hand, we work so that our clubs add some kind of value to the players community. For example, that their services include padel lessons. 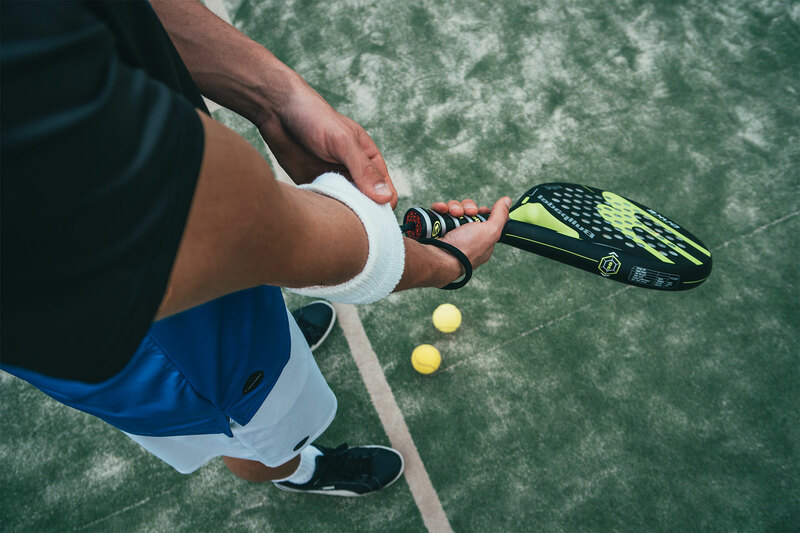 In fact, you will see that the clubs available might be perfect for you in case you need a better understanding of the techniques used in padel. As a player, you will know that when it comes to booking a court, you need to take different factors into account. We pay attention to the number, the models and the quality of tennis courts. We also assess the quality of the complementary facilities, because they can be key to enrich your sports experience. Besides, there are two fundamental factors to take into account to evaluate a club’s quality: the flexibility and extension of their opening hours and the number of sales, vouchers and discounts. Book your tennis court now and enjoy playing with Playtomic! Playtomic, the Spanish app that is changing the rules of game! Playtomic, the sports booking app, reaches 20,000 downloads and nearly 3000 bookings. "The best app for padel, tennis and football players in Europe"